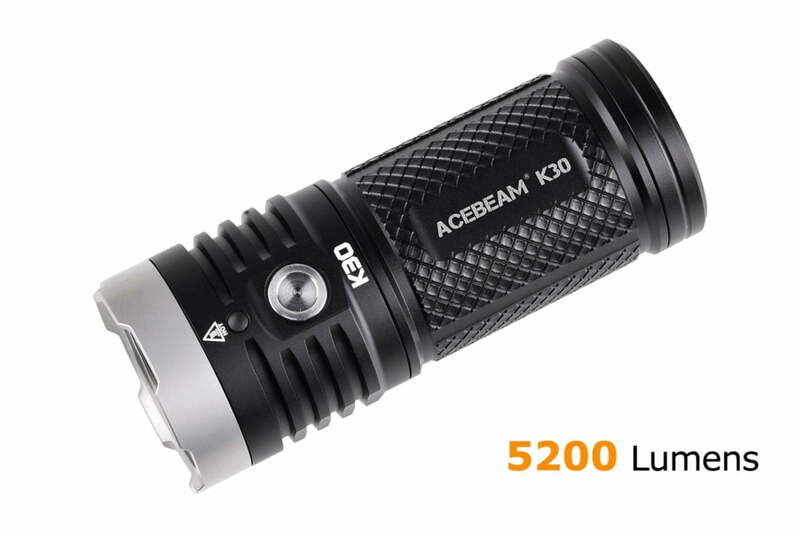 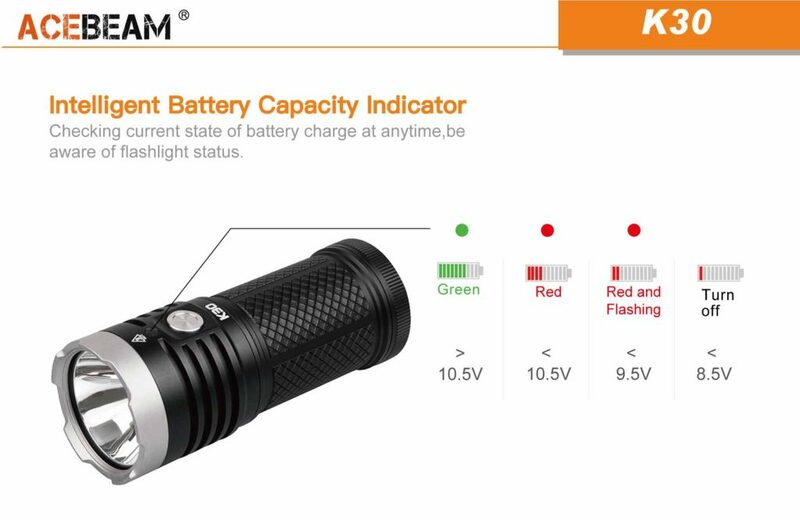 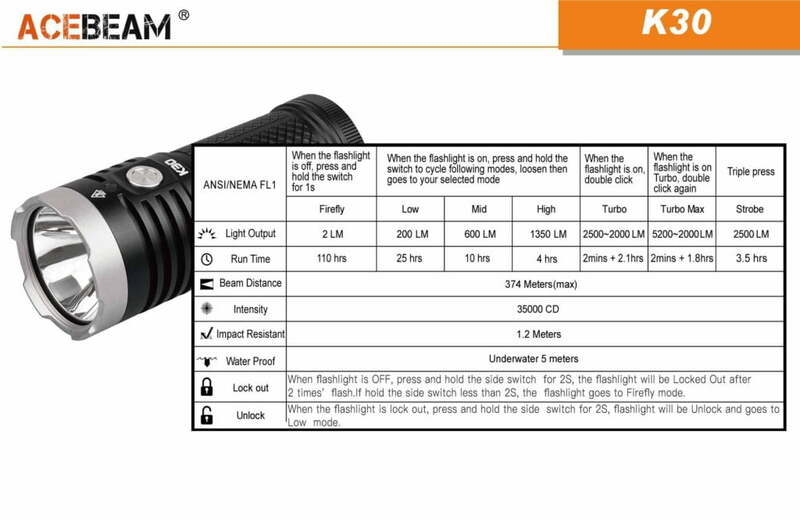 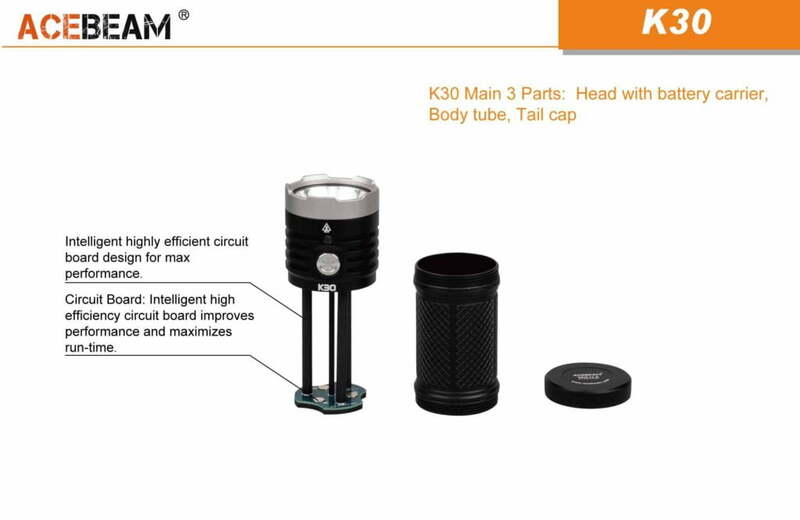 A fistful of light – the all-new Acebeam K30 XHP 70.2 5200 lumens LED Flashlight delivers an unprecedented blast of light from a package smaller than a regular energy drink! 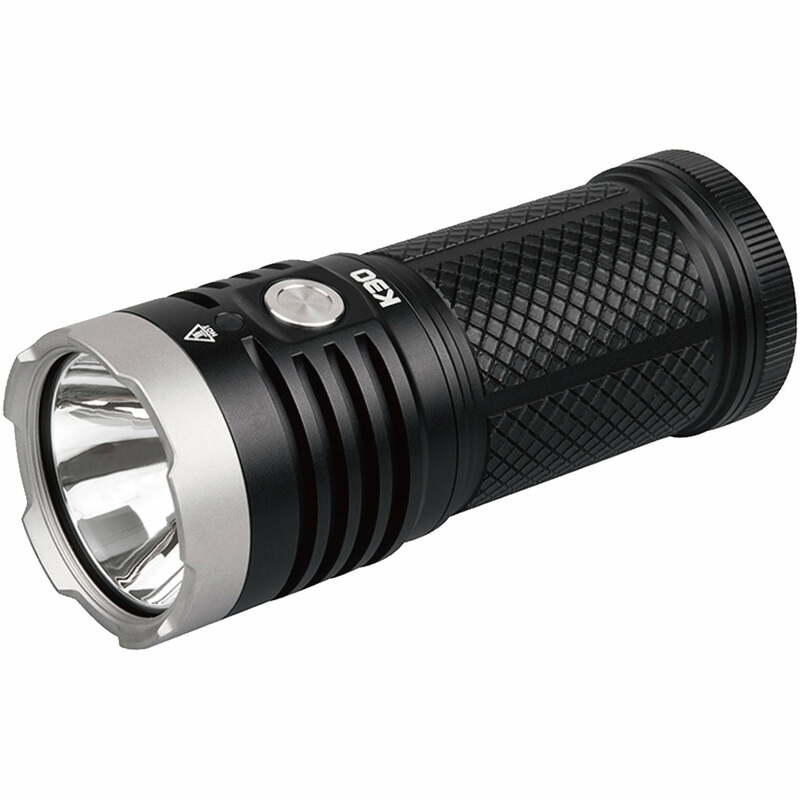 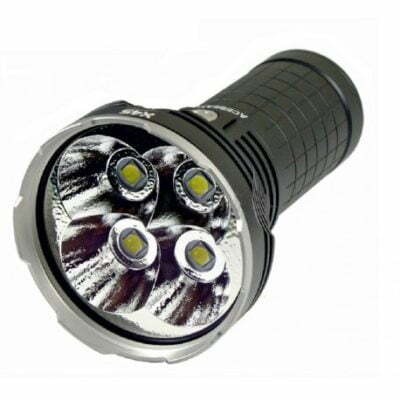 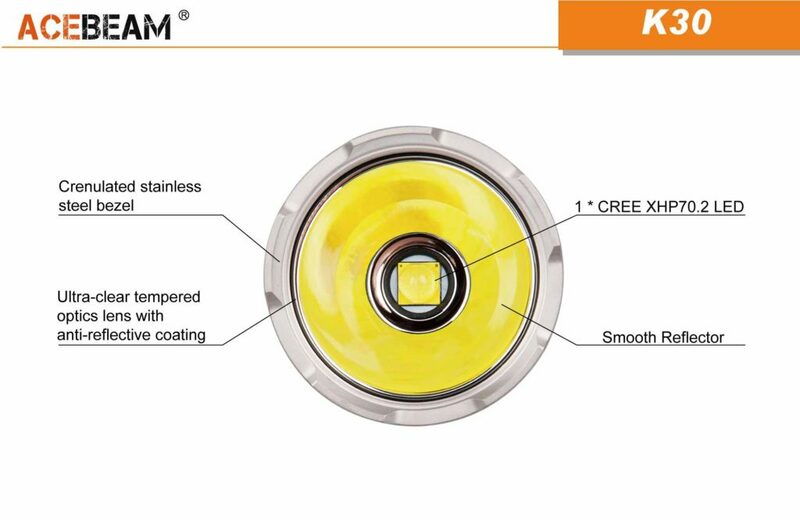 The latest CREE XHP70.2 LED pumps out a broad 5,200 lumen beam, ideally suited to security, adventure and emergency use. 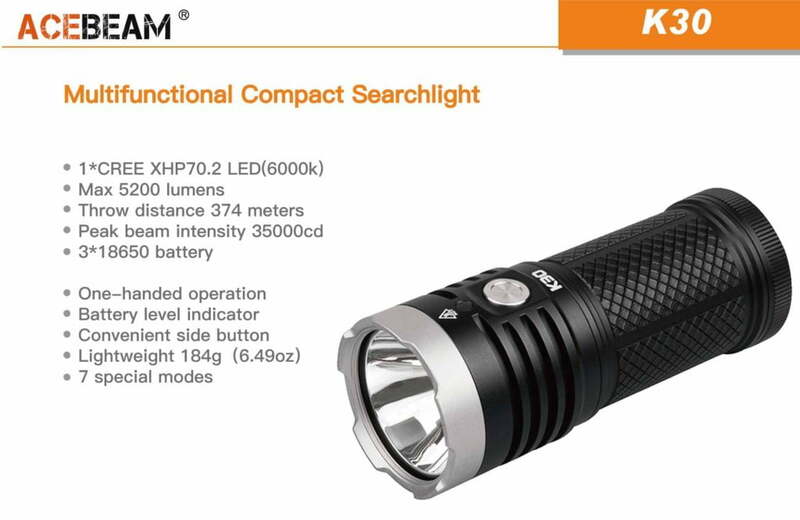 The proven single-button interface provides intuitive one-handed operation with instant access to all the major functions – even from the “off” position! 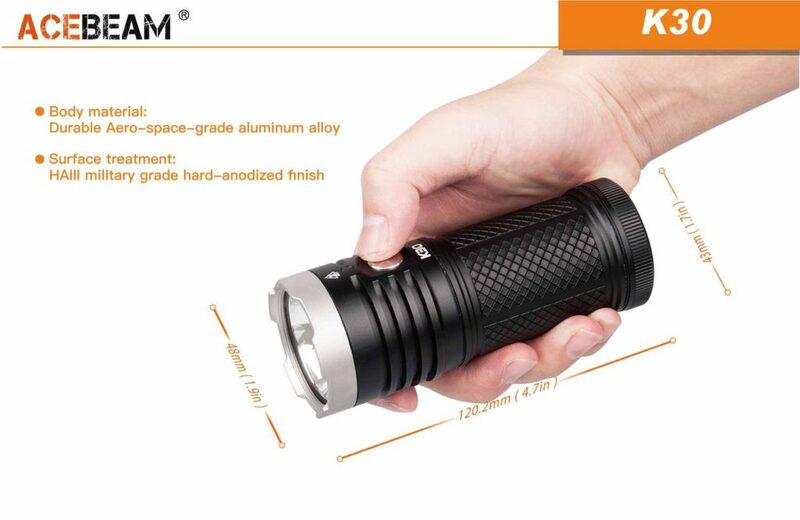 Powered by three 18650 lithium-ion rechargeable batteries sealed into a waterproof and impact resistant body, the K30 means you’ll always have daylight in your grasp. 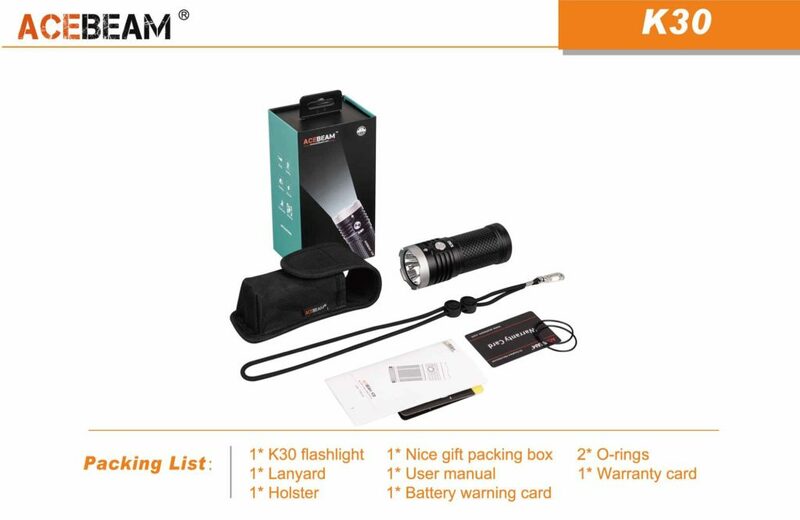 PLEASE NOTE: This item does NOT come with batteries or a Battery Charger. 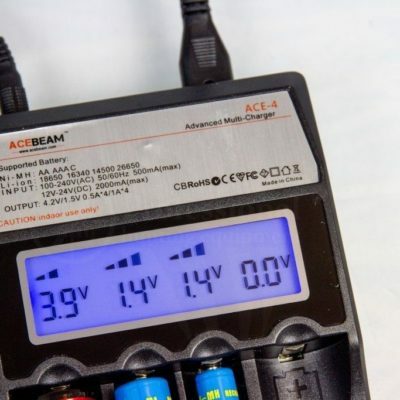 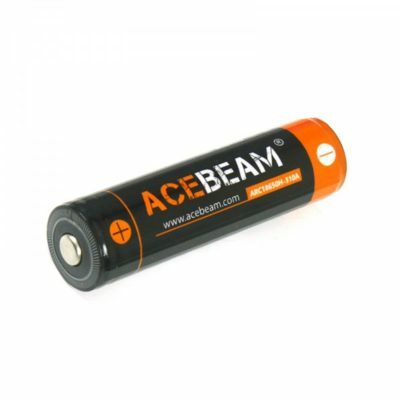 These are optional extras available here… For Battery charger follow this link: Acebeam Advanced Intelligent Multi Charger ACE-4.